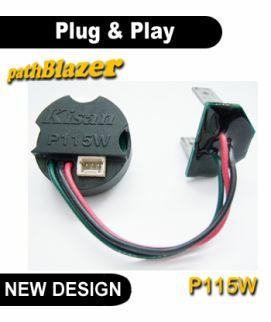 100HD unit is designed to handle up to (4) tail light bulbs - for most Harleys, Honda Valkyrie, Magna, VTX and other cruiser models with grounded tail lamp housings. 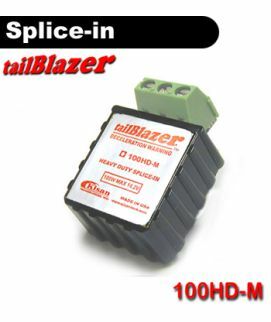 100HD unit has a high-side interrupt circuit to allow flashing of the bright brake filaments. This makes it easy with just a single wire splice. 100HD unit fits in the tail section or under the seat. Motorcycle Safety Foundation (MSF) suggests that you pump your brakes at each stop. 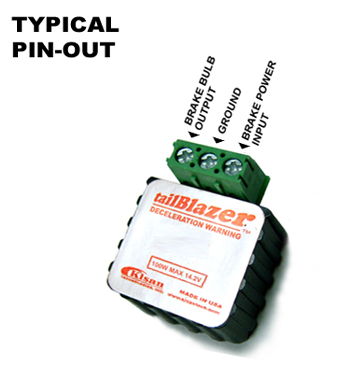 tailBlazer does it automatically, and by flashing the bulb filament at maximum brightness. When you apply the brakes the brake light will modulate rapidly at first then slow down to a solid ON over a period of (4) seconds. As soon as you tap your brakes, drivers behind you will see a rapid flash of the brake lights. This sudden flashing invokes immediate attention. 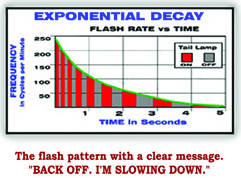 tailBlazer uses a flash pattern which decays exponentially - a well-recognized deceleration warning. The attention to the initial flashing now changes to a clear recognition that you're beginning to slow down! Simply flashing brake lights or flashing them on & off will get the attention of drivers behind you, but it doesn't invoke anything else. Every split second of delay in their reaction reduces your safety margin. There is no sacrifice to the life of your bulb because tailBlazer utilizes a soft-switching technology. 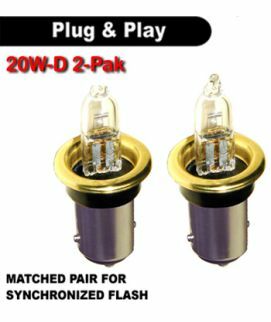 It throttles the current flow through the bulb filament, so that there's no "thermal shock" due to a sudden inrush of current, which can damage the bulb filament or shorten its life considerably. This is far superior than maintaining a small voltage! The internal circuitry is controlled by a microprocessor, which allows precise flash patterns, overload detection and reverse polarity protection. Installation does not require any special tools. Everything needed to complete the job is in the product package.Follow the steps described here and refer to the Installation Manual enclosed in the product package.